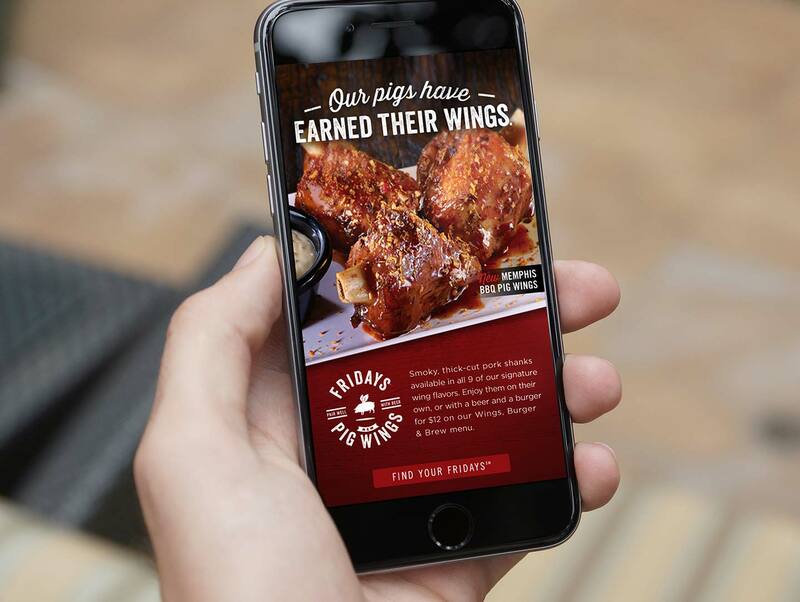 Fridays wanted to introduce a new menu feature in over 500 restaurants to increase the time patrons spent in the bar area–especially hanging with friends and watching games. 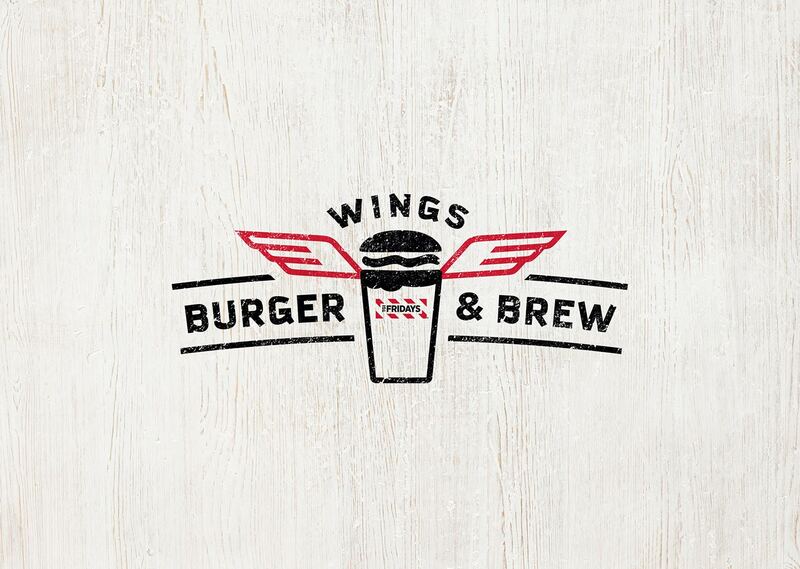 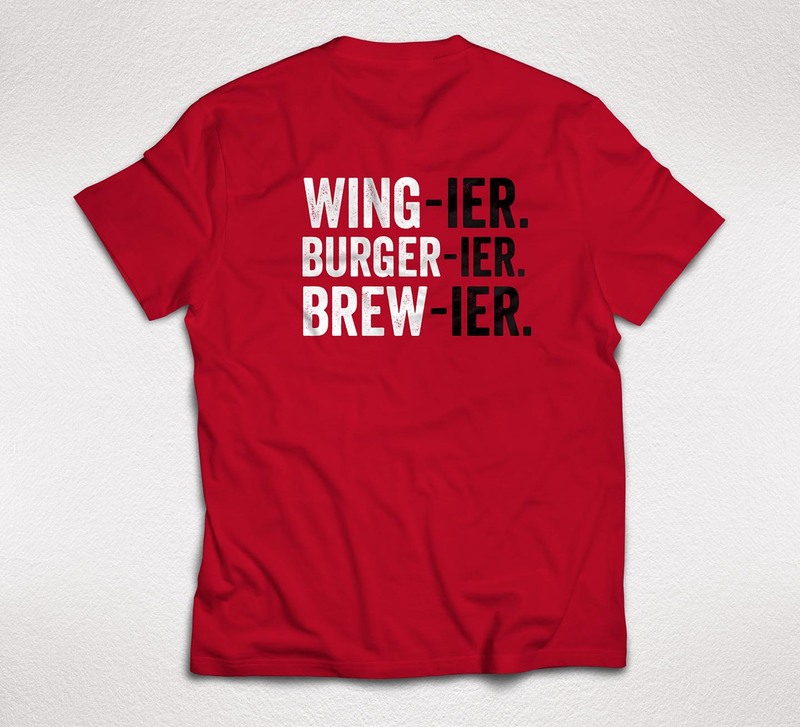 We created a logo for the perfect trifecta of Chicken Wings, a Burger and a Brew (for only $12). 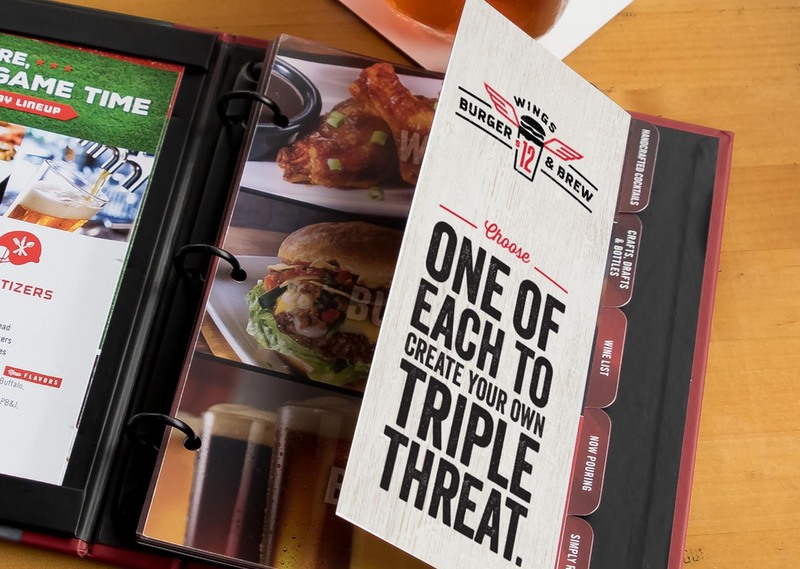 The lock-up was carried through all the elements in the restaurant, including table toppers, bar books, posters, door decals, coasters and t-shirts. 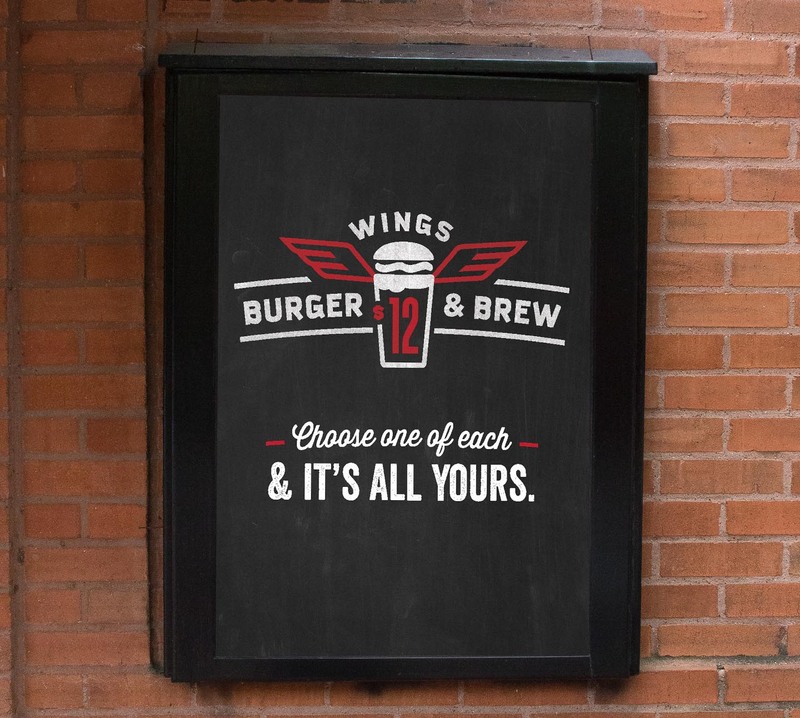 Clever copywriting was important to inject a little attitude into the campaign. 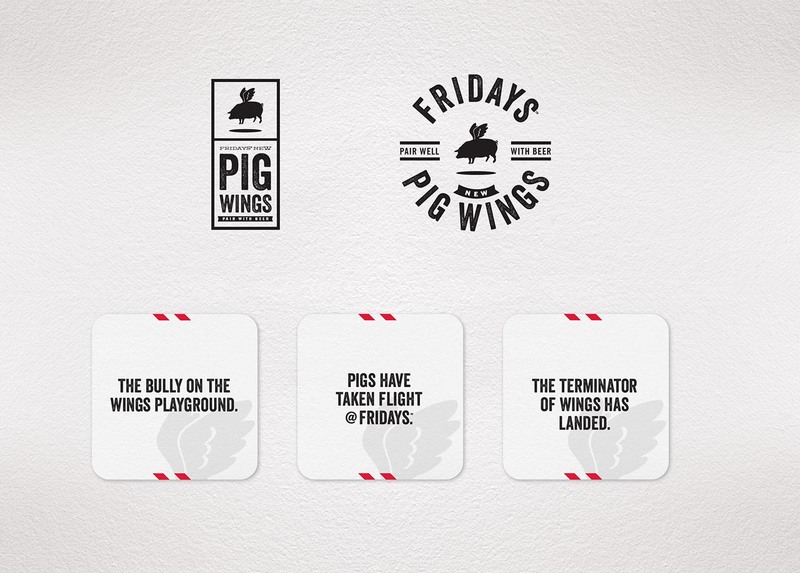 In addition to the menu feature, we also introduced Pig Wings– a new type of Wings for Fridays. 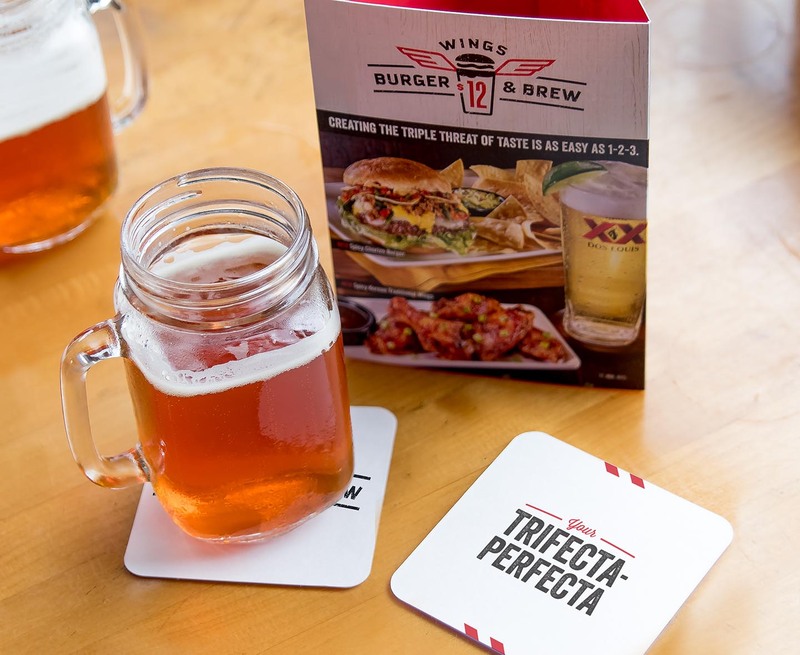 We created a separate mark to be used on coasters and in emails designed specifically for its launch.